Took a few shots before going out today, the past few days have been quite rough for me, there are too many things going on in my mind and I just need to clear my head! Finally been able to shot some outfit pictures before the hectic months started. As I have said before, I'm graduating this December so I have bunch of stuff to do in order to finish my study here. Those assignments has caused my temporary blogging hiatus! 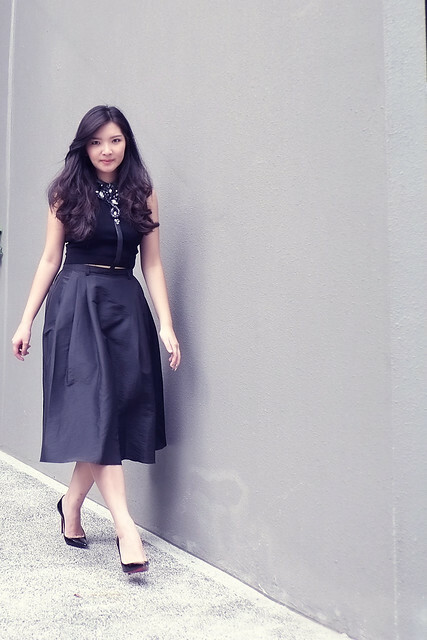 Got this cool Double zip leather skirt by Nasty Habit from a Korean webstore called MOOTTA. I wore it with zara faux leather top, 3.1 Phillip Lim necklace, Miumiu cat-eye sunnies, and gifted Valentino rockstud pumps. GIVEAWAY! This is the first time I'm doing giveaway on my blog, huge thanks to MOOTTA for sponsoring me :) Join this giveaway by simply create account at MOOTTA and like them on their facebook page for a bigger chance to win. Don't forget to comment this post because I'll be randomly choose the winner from the comments as well as follow me via Google friend connect and Instagram (@karinapricilla). The competition will be run from today up to next TUESDAY (10/29), so please do these simple steps to join! 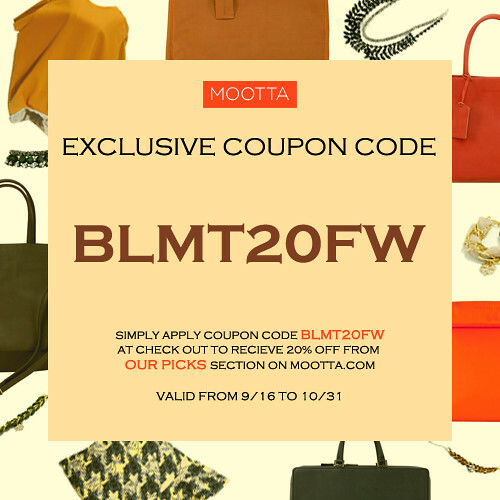 Lastly, they also offers an exclusive 20% discount for my readers. Happy shopping! 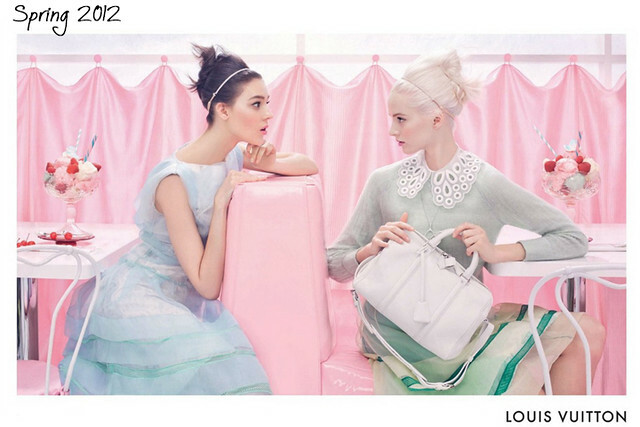 Just a week ago, LVMH confirmed that Marc Jacobs is leaving Louis Vuitton after being the label's creative director for 16 amazing years. 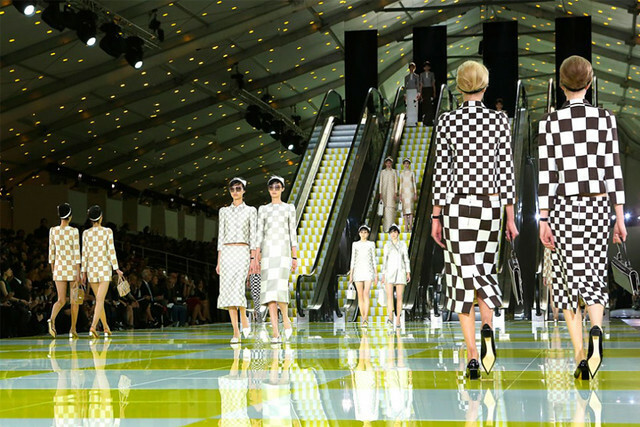 In those years, Marc managed to rebrand the company, which before designed only bags and suitcases, and transformed it into the fashion powerhouse as it is today. 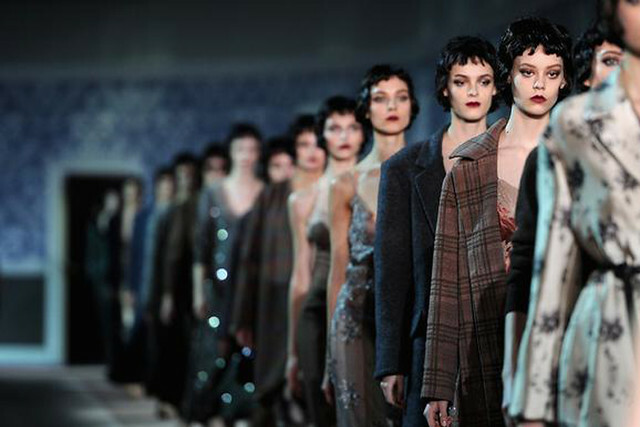 At the end of Paris Fashion Week, he finished his 16 years of collections with the French fashion house in one of the most spectacular runway presentations the world has ever seen. 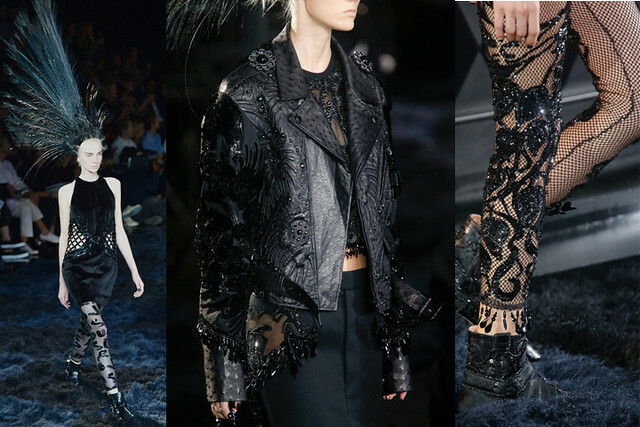 And it was with his last collection that he combined some of his greatest hits with all-black theme to tie the show together. 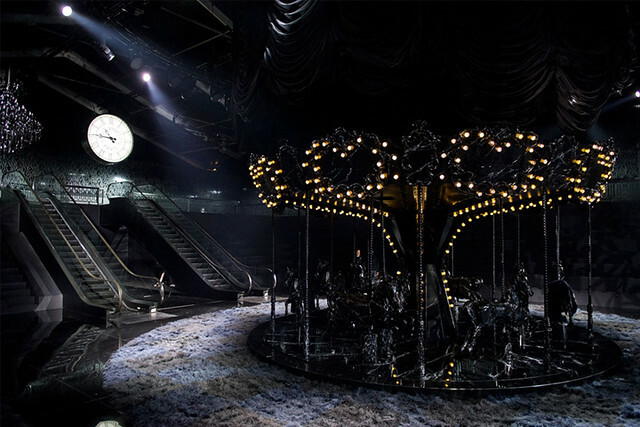 The set included; a carousel (Spring 2012) that shared centre stage with a exquisite black fountain (Fall 2010), models made their way upstairs via the elegant lifts (Fall 2011) before landing in the hotel corridor (Fall 2013). 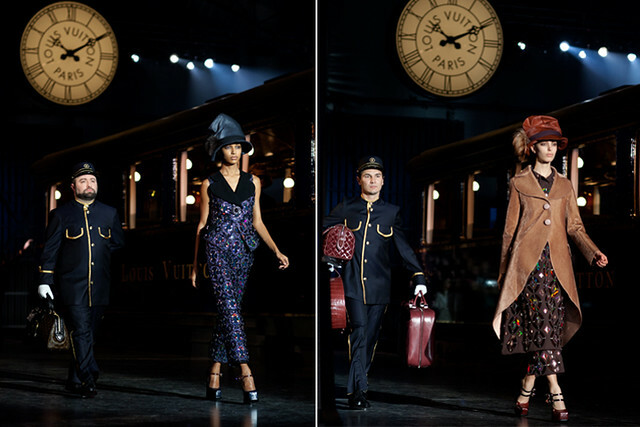 Once there, models come down through the black escalators (Spring 2012), all under the eye of Louis Vuitton clock (Fall 2012). 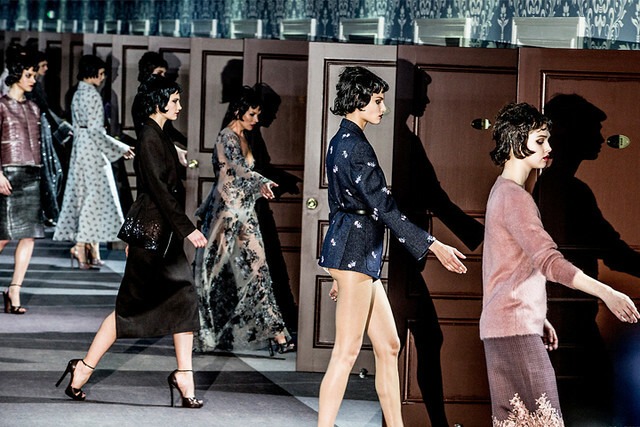 Marc dedicated the show: "For the showgirl in all of us"
Below are my top list of Marc's greatest contribution during his 16 years in Louis Vuitton. Scroll down, enjoy. 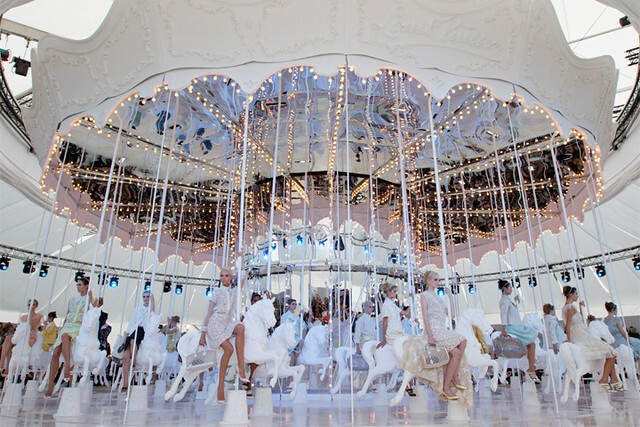 With Marc Jacobs leaving Louis Vuitton, pro and cons of Heidi Slimane, Karl Lagerfeld's breathtaking Chanel art gallery, etc. 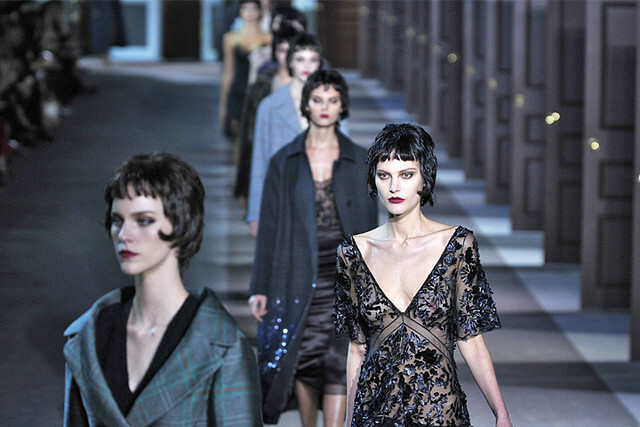 Paris Fashion Week has been the most emotional of all fashion weeks. 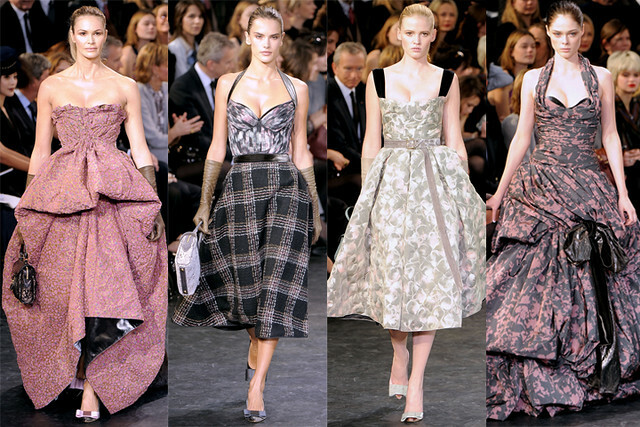 Here are my top picks, meaning, I'd LOVE to wear all those pieces. 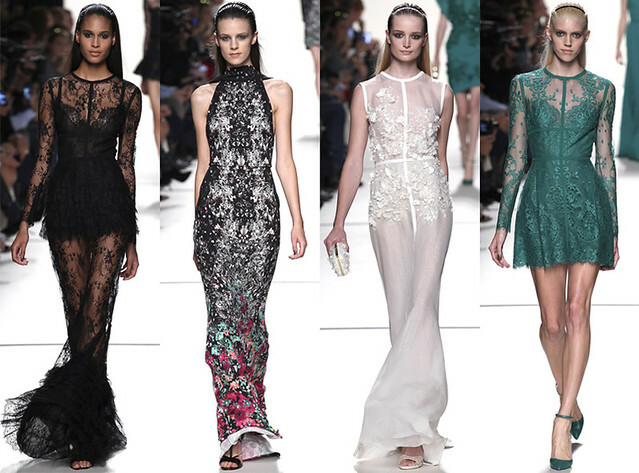 I mean, who doesn't love Elie Saab? Not moving from his comfort zone of designing & choosing materials , this time he turned the catwalk into a magical blooming garden. 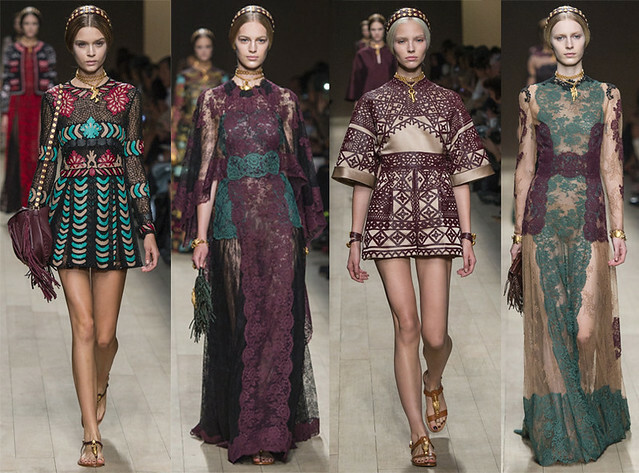 Sticking to its signature of feminine laces, Valentino choose to give an ethnic feel to their s/s14 collection. Well, I found some of their pieces are 'so D&G' with their famous sicilian inspiration, but still, Valentino is one of the most-talked show during PFW. 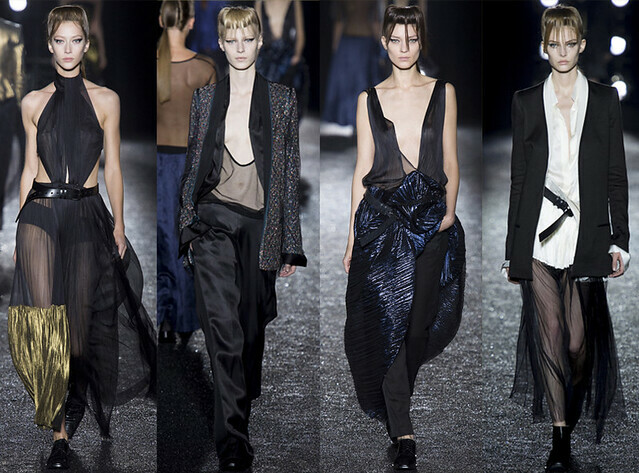 This is it, the collection that made people talk down about Slimane. The Cut said: "Vulgar is acceptable, but ugly is not. 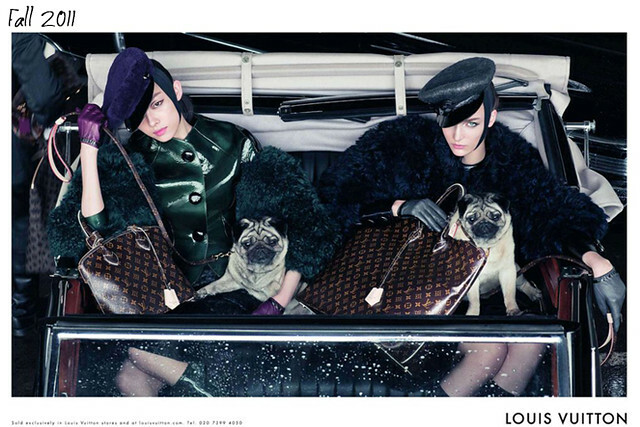 Not even at Saint Laurent." Rough, isn't it? They said that since Slimane arrival at Saint Laurent, he's not sticking to YSL style legacy but to create looks that is far from it. 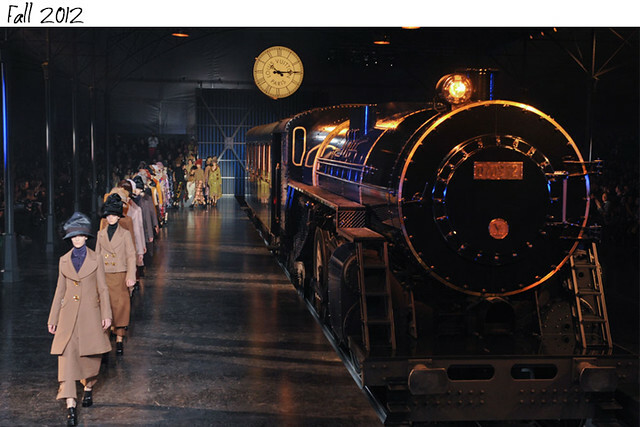 His version of Le Smoking suit can be found in this collection and yes, I love it! See the complete collection here and let me know what you think! 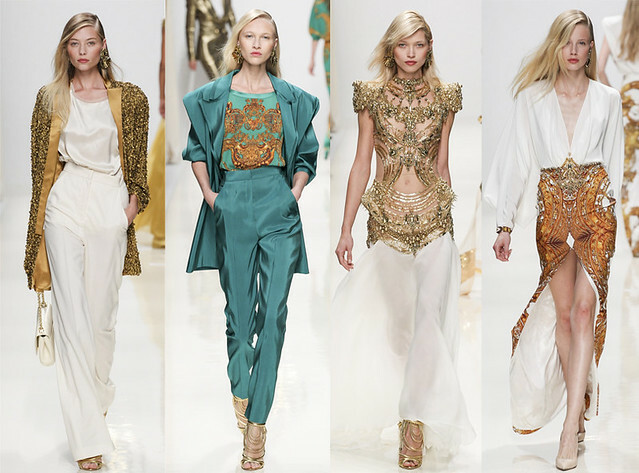 Even if Rousteing doesn't do much experiment to his designs, Balmain is still my favorite! 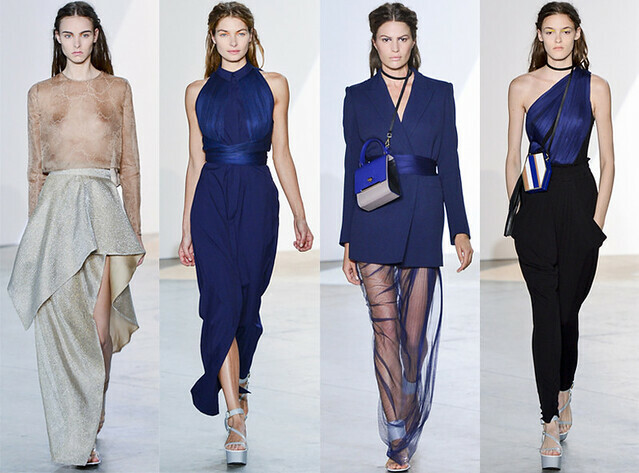 His name may not be as big as other designers in PFW, but his sporty-luxe collection caught my eye instantly. Gold sequins, Gold embellishment, Gold shoes, Gold everything!